St David’s Hospice collects personal information when you complete forms such as newsletter registrations and contact forms. St David’s Hospice is the sole owner of the information collected on this site. We do not sell, share, or rent this information to others. 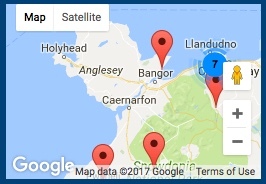 St David’s Hospice collects information from our users at several different points on our website. We treat your information fairly and with full compliance to the Data Protection Act 1988. Our Websites contain links to other Internet websites. Unless otherwise explicitly stated, we are not responsible for the privacy practices or the content of such websites, including such sites‘ use of any personal information. We employ reasonable security methods to protect the personal information that we process, including Internet standard encryption technology (“SSL“ or “Secure Socket Layer“ technology) to encode personal information that you send to us through our Websites. SSL works by using a private key to encrypt data that‘s transferred over the SSL connection. To check that you are in a secure area of the Website before sending personal information to us, please look at the bottom right of your website browser and check that it displays an image of a closed padlock or an unbroken key. This is also known as ‘the right to be forgotten’ and, in simple terms, enables you to request the deletion or removal of your personal information where there’s no compelling reason for us to keep using it or its use is unlawful. This is not a general right to erasure; there are exceptions. For further information regarding these rights, about this Privacy Statement generally or to make a complaint please contact us at enquiries@stdavidshospice.org.uk; or by calling 01492 879058. Please provide as much information as possible to help us identify the information you are requesting, the action you are wanting us to take and why you believe this action should be taken. Before assessing your request, we may request additional information in order to identify you. If you do not provide the requested information and, as a result we are not in a position to identify you, we may not be able to action your request.